This is a free-hand color blocking I did with darker colors that turned out to be quite sophisticated (I think. Haha). 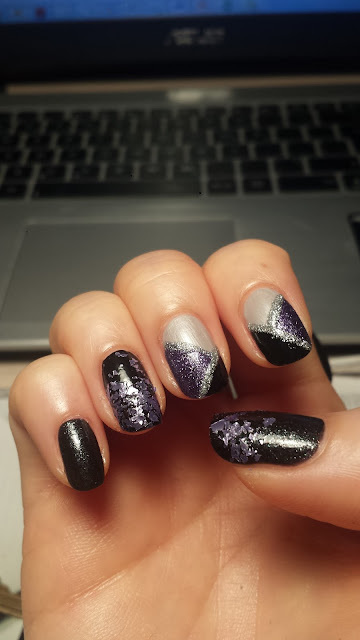 The blocking was only done on the 2nd and 3rd fingers while I left the other nails quite simple with matching purple glitter on black polish. 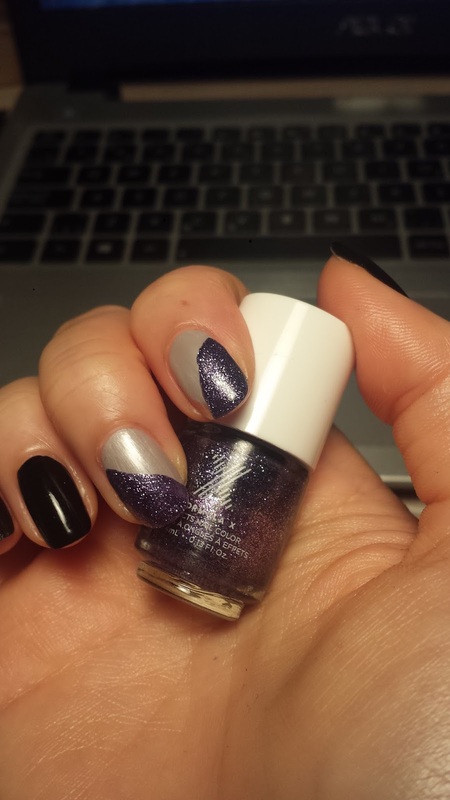 With a grey base color, I painted a glittery purple triangle using one swipe diagonally across the nail. 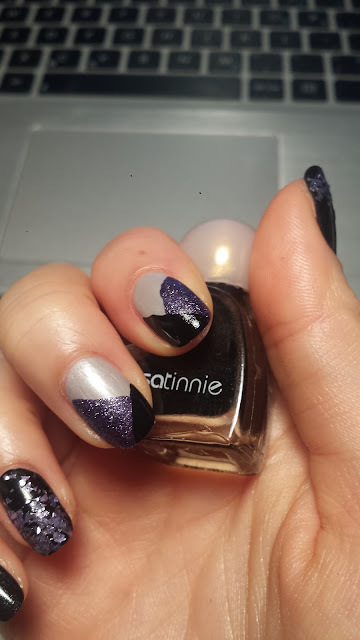 After the purple layer had dried, I painted another triangle on top with a black polish, making a smaller diagonal swipe. As you can see here, the lines were not straight, but that was ok because I then used a silver glitter striper to line (and "hide") the seam! 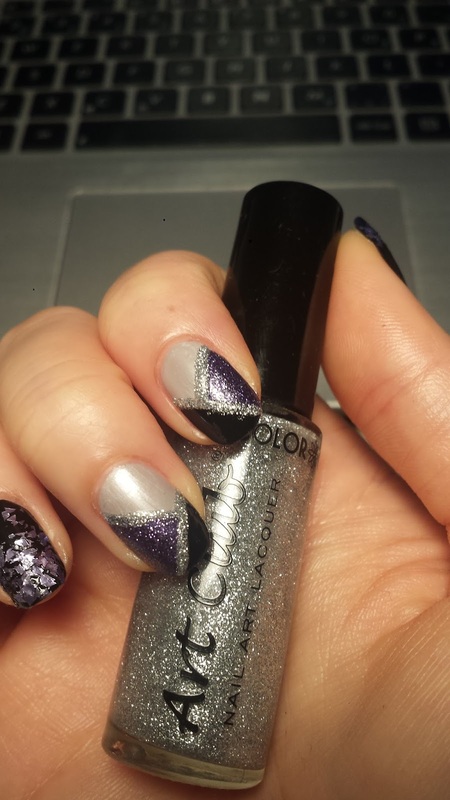 These ColorClub nail stripers are very handy for doing nailart and they are really pigmented as well! 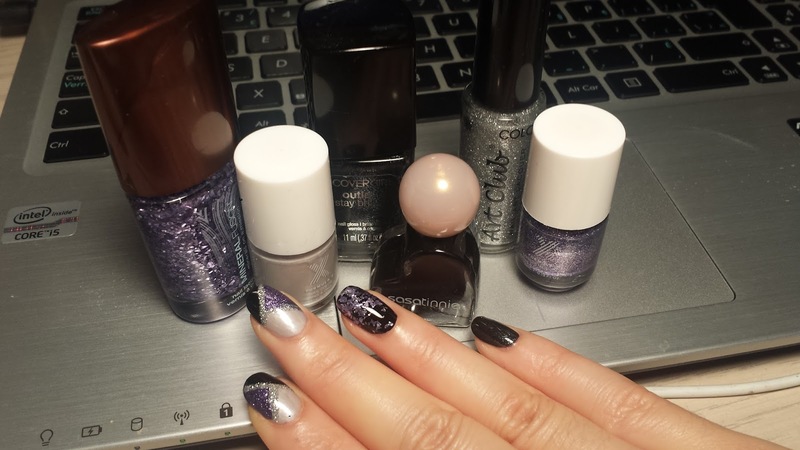 On the thumb and 4th finger, I sponged on some purple chucky glitter to match the color theme. After top coating then we are done! 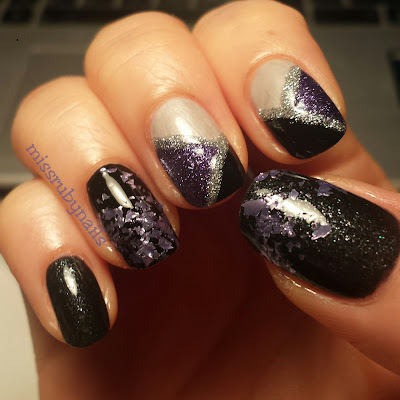 Click HERE for another purple and black manicure!